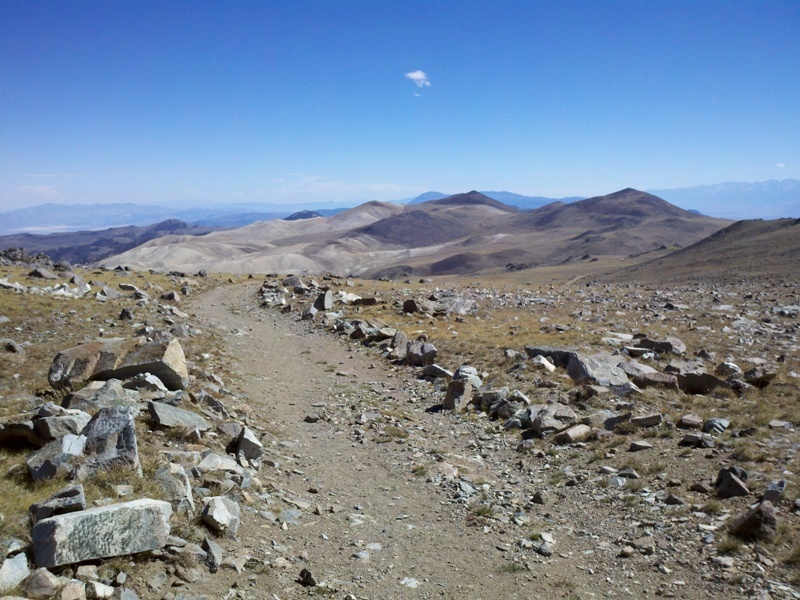 At 14,252 feet, White Mountain Peak is the third highest peak in California and the 14th highest in the lower 48 states. 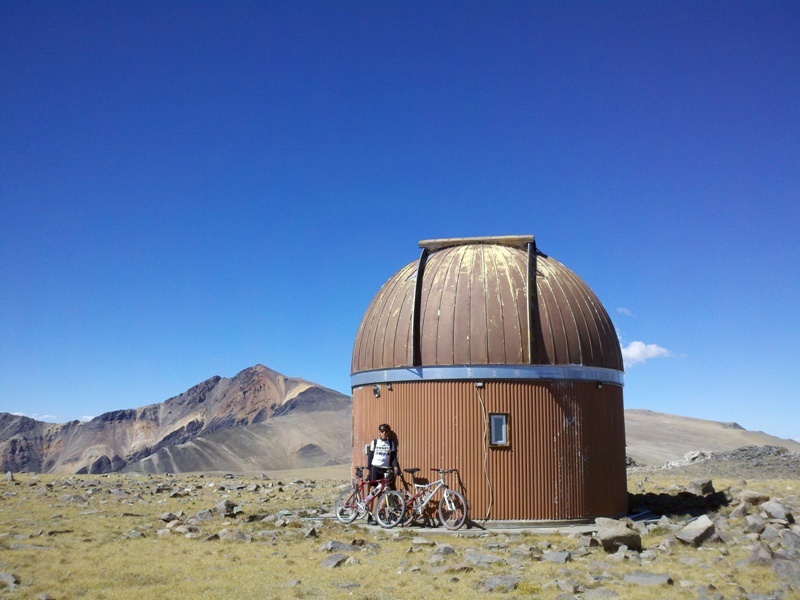 It is also the most accessible of the fourteeners, including by bike. 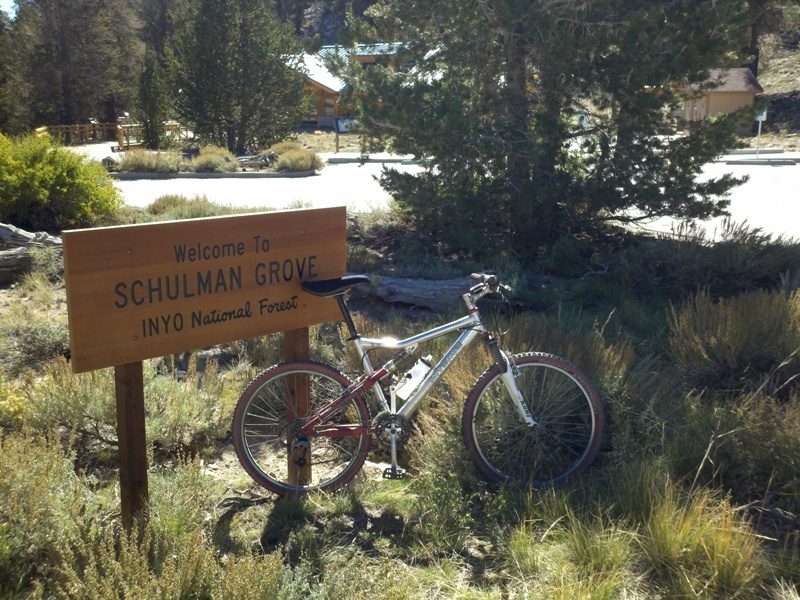 Starting in Big Pine (3,989 feet), Highway 168 and White Mountain Road lead up to Schulman Grove (10,050 feet), where the paved road ends. 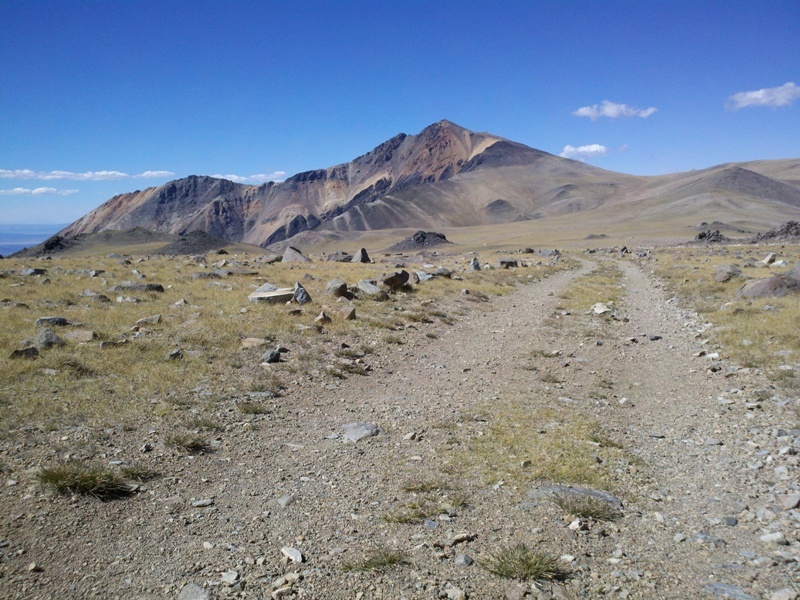 White Mountain Road continues on as a gravel road for 23 miles, leading all the way up to White Mountain Peak. 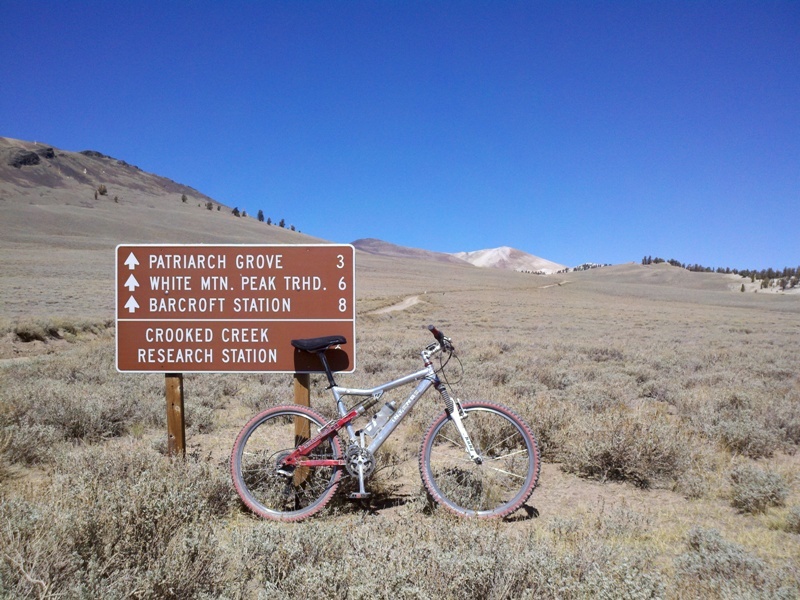 At mile 16 the road is closed by a locked gate (this is the trailhead). 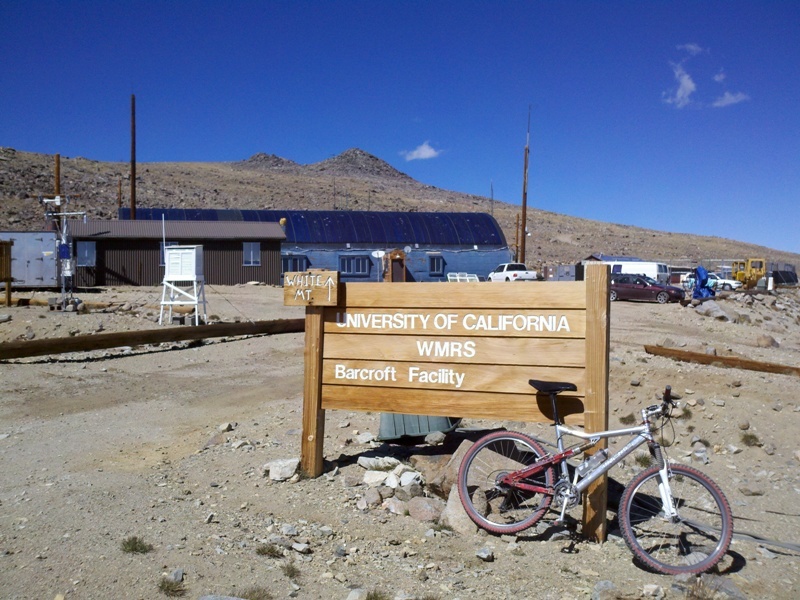 At mile 18 the road visits Barcroft Station, a high-altitude research facility of the University of California. 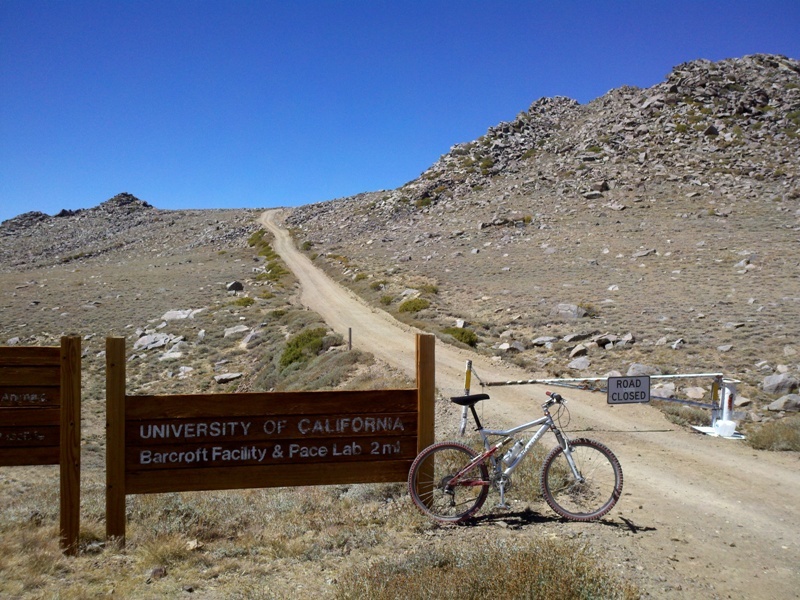 After a short but very rough section the road passes by Barcroft Observatory. 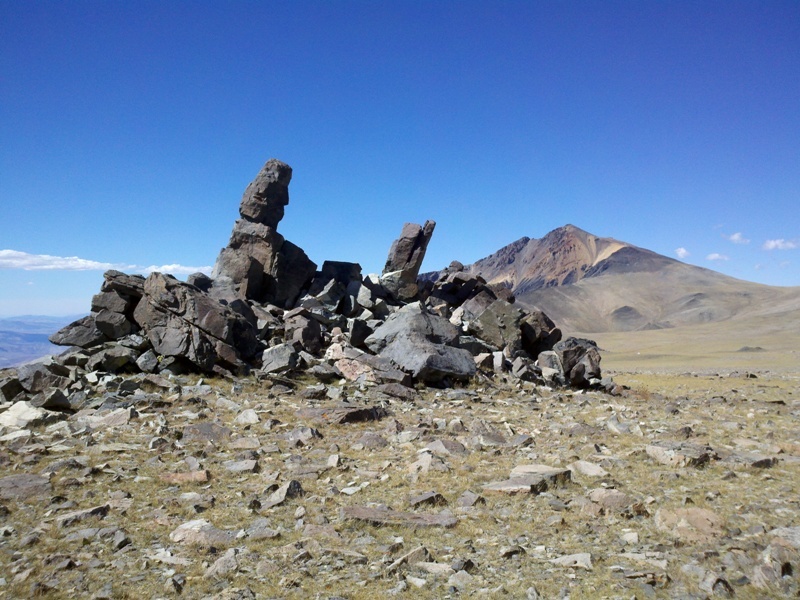 From here it is less than five miles to the summit, the last two of which are very rough. 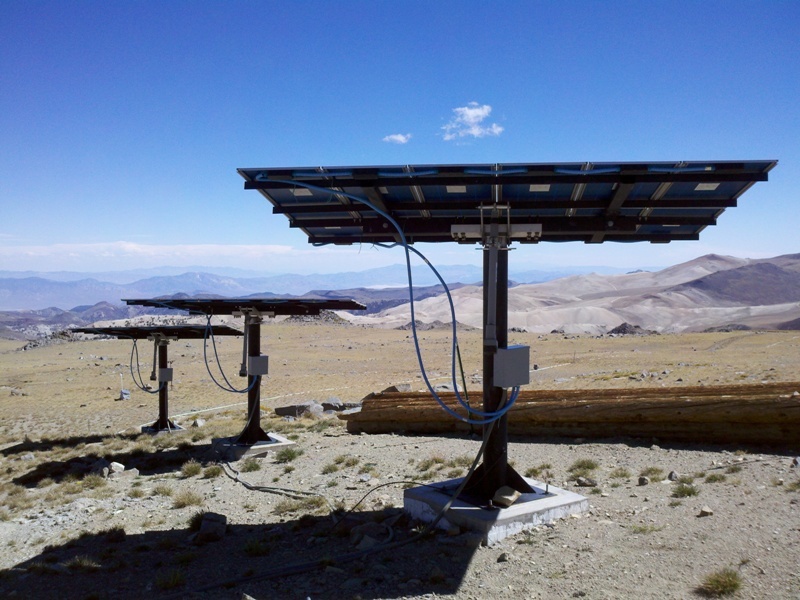 White Mountain is the home of an ancient bristlecone pine forest. 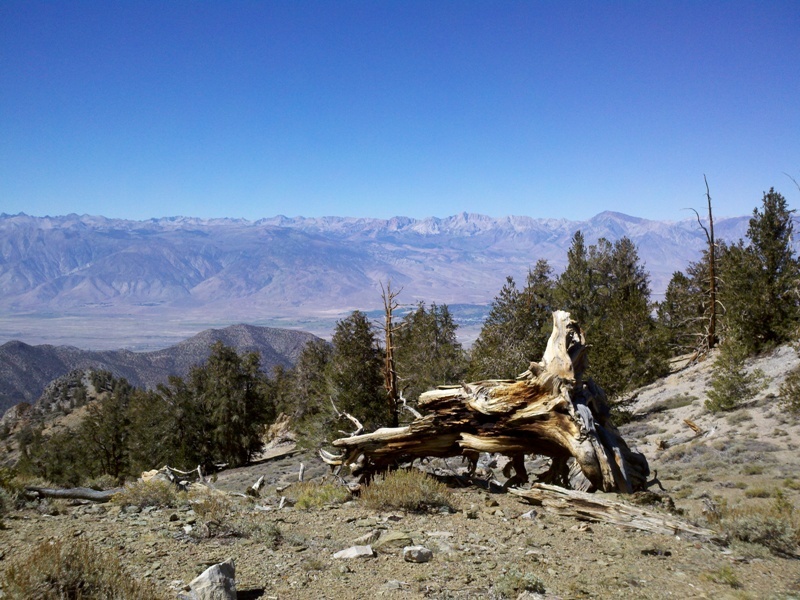 Schulman Grove is home to the "Methuselah" tree, at 4,767 years the oldest living being in the world. 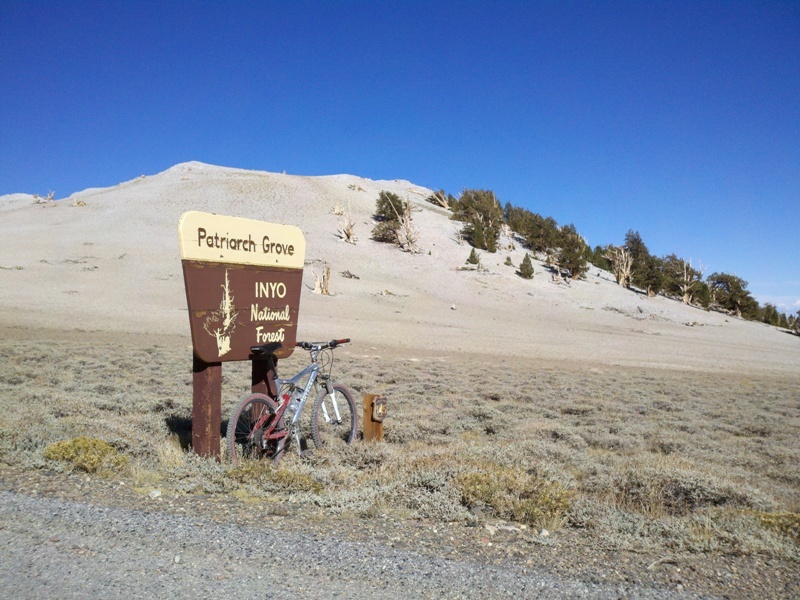 Patriarch Grove is home to the "Patriarch" tree, the largest of the ancient bristlecone pines. John U. and I went for part of this ride on mountain bikes (thanks to Bob N. for letting me borrow one of his bikes). 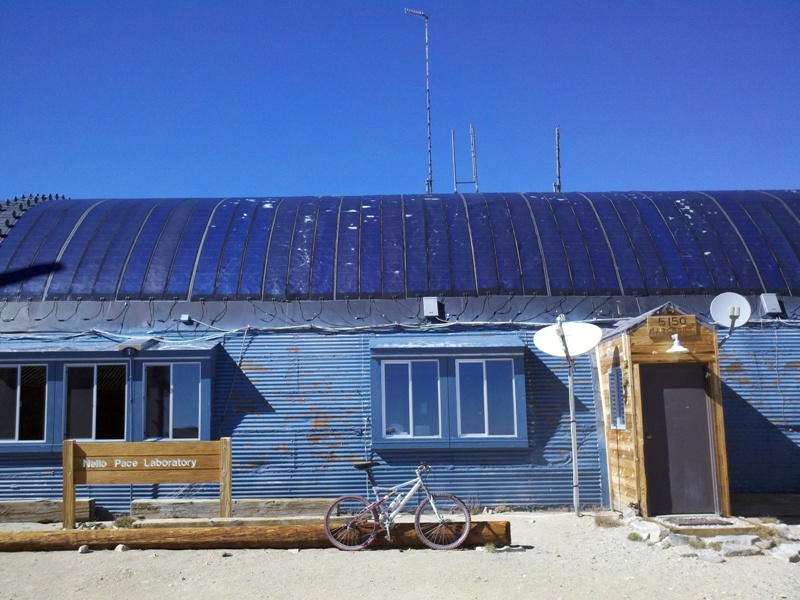 We ran out of daylight and had to turn around at Barcroft Observatory, less than five miles and 1,500 vertical feet short of White Mountain Peak. 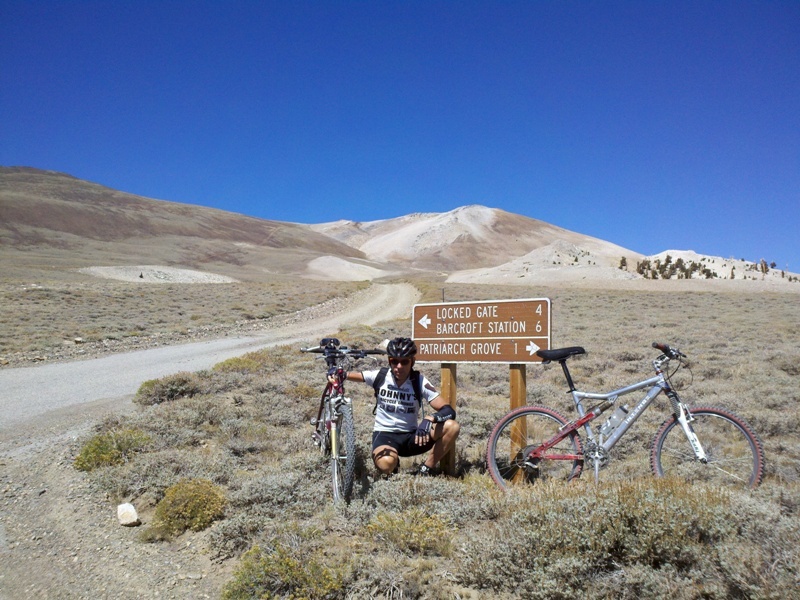 I think the ride from Big Pine to White Mountain Peak is possible in a single day on a single bike, and I will be back to try it. The distance is approximately 92 miles with 13,600 feet of climbing, of which 46 miles and 7,400 feet of climbing are on gravel. 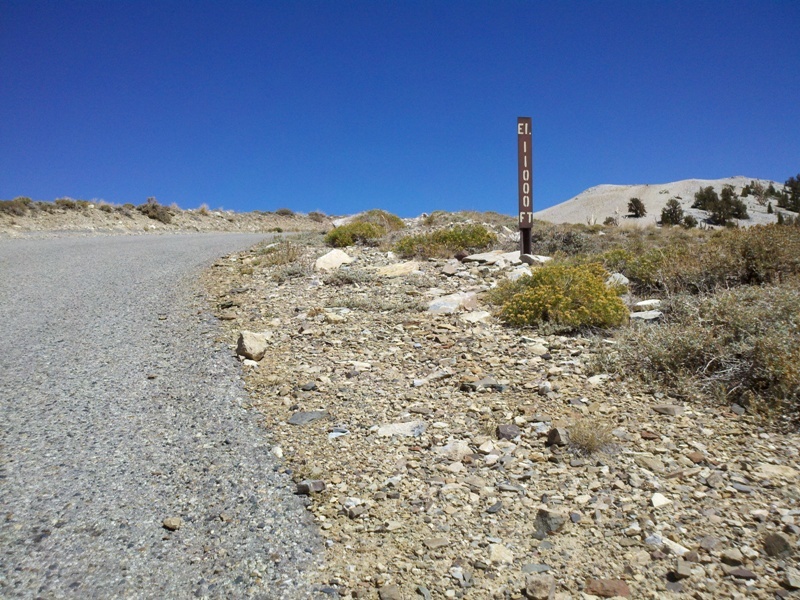 Another climb to White Mountain Peak is via Silver Canyon Road from Bishop. 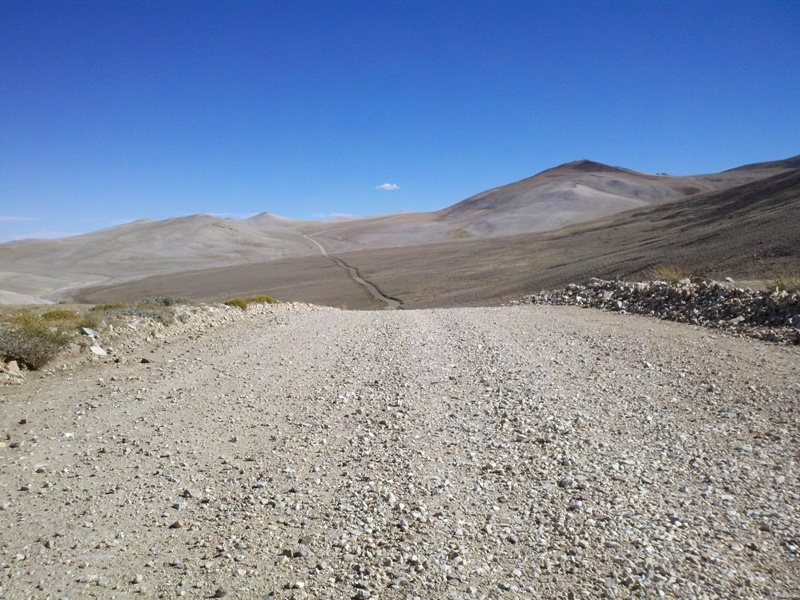 After about 11 miles, this dirt road merges into White Mountain Road (above Schulman Grove). 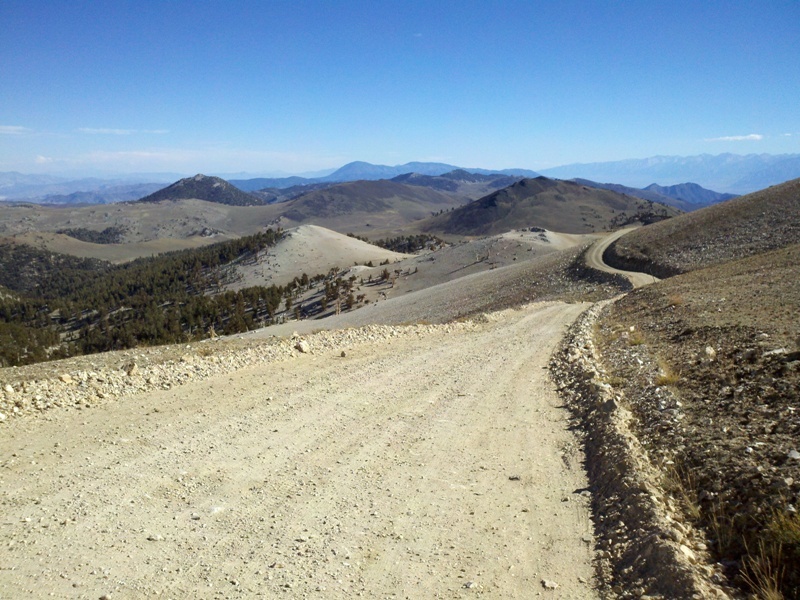 The distance is approximately 62 miles with 13,600 feet of climbing on gravel. 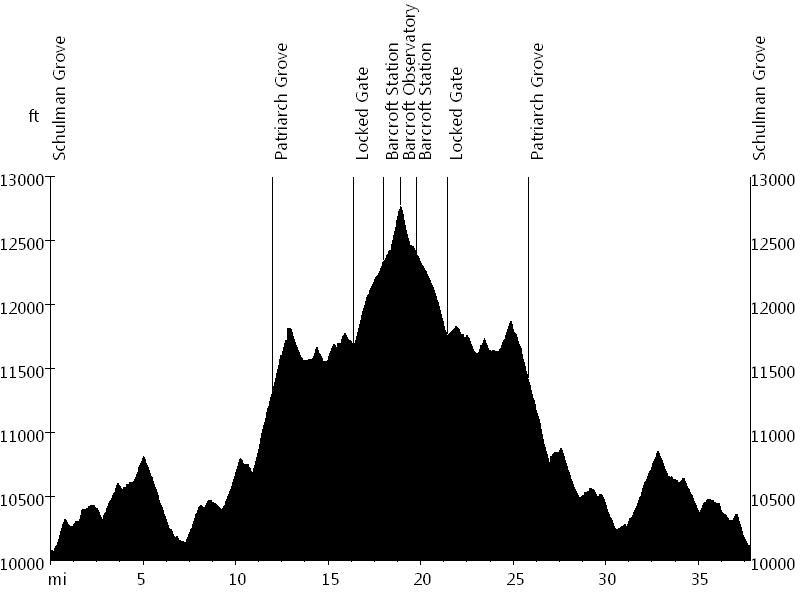 While the ascent to White Mountain Peak is technically not a single climb due to several downhill segments, I consider it by far the most difficult climb not only in California but all of America.